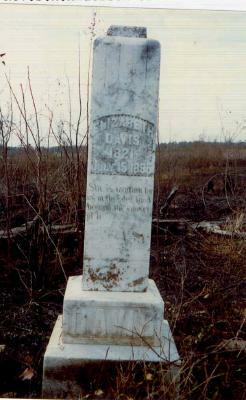 MARRIAGE* circa 1840� She married Zacharias Davis, son of Zachariah Davis, circa 1840 at Perry, Houston County, GA. MARRIAGE* circa 1840� She married Zacharias Davis, son of Zachariah Davis, circa 1840 at Perry, GA.
[S102] Pipkin Cemetery Bleckley County Georgia, Cemetery Record. [S55] 1870 Census;, p. 451. MARRIAGE* 31 March 1864� She married John A McDermott, son of Alex McDermott and Nora McGovern, on 31 March 1864 at Diocese of Tuam, Westport, Mayo, Ireland, I recieved a certificate of marriage certificate of John McDermott and Ellen King here's what it said. My cousin Ed and I think that your Ellen is OUR Ellen. Westport. County Mayo. Ireland. Your research seems consistent with what our Great-Aunt Kate King compiled before 1960. Original documentation is lacking -- we all just had a copy of the family tree, handwritten by Kate. And most of us kept only the part that was about OUR immediate ancestor. 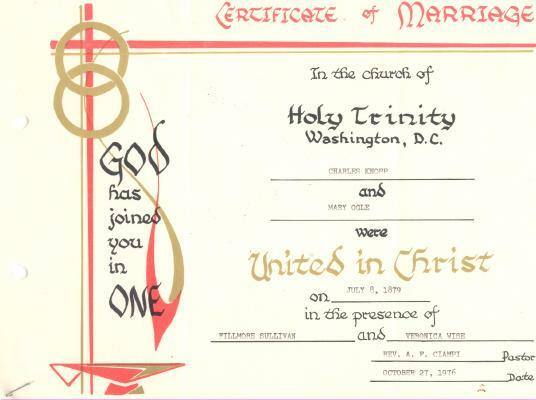 (Ed and I are first cousins, once removed, and only met for the first time in 2001, at my Dad's funeral). We will gladly exchange information -- I have 19 first cousins! We all married -- most of us have children -- some of us older ones grandchildren and great-grandchildren. Here are my (sketchy) notes about the Ellen King/John McDermott connection. I just found your site tonight -- I'll write to cousin Ed and tell him tomorrow -- along with the other info I winnowed out of the LDS site. I've been having a little break from genealogy since my husband died -- and I'm just catching up! 8/2003 -- From McDermott families Irish researcher, via Ed O'Malley : According to the marriage record, Ellen's address is given as MONEMORE, and her father's name was PHILIP (note the ONE L). 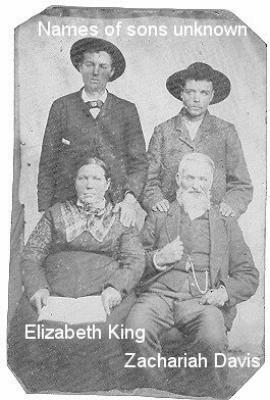 From Ed O'Malley: April 2002: I'm in contact with a Joan and Mick McDermott whose Great Grandmother was Ellen King who married John McDermott in Westport, Ireland and moved to Iowa in about 1864. They just came back from Ireland searching for Ellen's Parents or siblings. John A. and Ellen McDermott -- John A. McDermot, son of Alex and nora McGovern McDermott, was born in 1834, Westport, Co, Mayo, Ireland. He married Ellen King, born August 16, 1837, Co. Cork, Ireland. John and Ellen came to America (Clinton, Iowa) in 1864. In 1886 the family moved to Ida County, Logan Township, where they farmed a half-section of land. 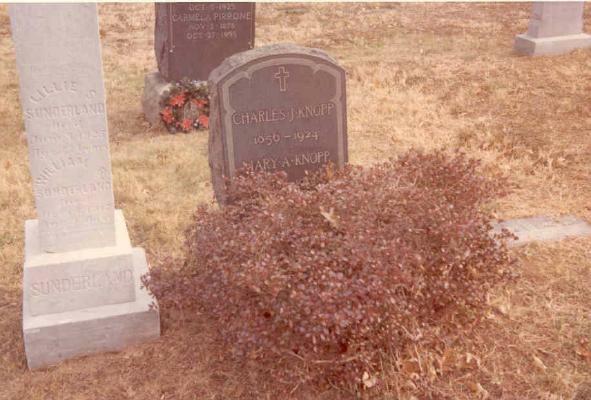 Their children included: Michale F., Peter J., Thomas J., Ellen M. (Mrs. Tom Flanagan), and Alice C. (Mrs. Dan Murphy). Ellen died in 1923, John in 1924, and are buried in the Ida Grove Catholic Cemetery. MARRIAGE* 31 March 1864� She married John A McDermott, son of Alex McDermott and Nora McGovern, on 31 March 1864 at Westport, Ireland, I recieved a certificate of marriage certificate of John McDermott and Ellen King here's what it said. [S333] Unknown subject MVW file. [S521] John Hayes, "Blakely Correspondence," e-mail to Laura Steneck, Nov 8, 2003. Biography* � Peter Knight appears on land grants in several counties of the early Virginia colony beginning in 1638. He patented 150 acres of land in Basse’s Choice plantation in 1640, and 255 acres in 1643. Peter sold the tract to John Bland, an eminent London Merchant. Peter Knight was a Jamestown merchant and a member of the House of Burgesses in 1657-58, assembled March 13th, representing Northumberland; 1659-60, assembled March 13th, representing Gloucester; and 1684, assembled April 16th, representing Northumberland; and 1685, session begun November 2, 1685, representing Northumberland. In 1619, the House of Burgesses became the first legislature in America. This group and the governor met together to create laws for the colony. Usually, the most prominent people were elected to serve in this office. In 1774, Lord Dunmore dissolved the House of Burgesses, but delegates met together secretly. They established the First Continental Congress. In 1775, the Second Continental Congress met in Richmond. Virginia’s George Washington was chosen as head of the Continental Army. The following year Virginia adopted its first constitution. Peter Knight was also a Captain in the Indian Wars. Matthew Bradford, who immigrated to Virginia in 1652, was listed as a servant to Peter Knight of Gloucester County. LAND GRANT* 1640� He was received land grant Peter Knight received a grant from Basse's Choice which he sold to John Bland and followed the Puritan movement northward, settling in Lancaster. Here appears to be the metes and bounds description of Basse's Choice. I beleive that the title Bassetts Choice is a typo. This information taken from "Direct Line Software Site. [S477] John Bennett Boddie, 17th Century Isle of Wight. CENSUS1880* 1880� He appeared on the Census in 1880 at Washingon, D.C; Census Place: Georgetown, Washington, D.C., Washington D.C.
[S401] Unknown subject unknown repository. 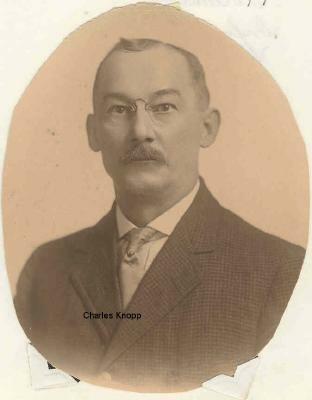 [S444] Knopp, Marriage Record MVW file. [S400] Unknown subject unknown repository.